The Presidential aspirant of the Peoples Democratic Party, PDP, Alhaji Atiku Abubakar, has extended his helping hands to a 13 year-old orphan from Daura Kastina state Aisha Haruna, who was involved in an inferno that burnt her beyond recognition. The former vice president has approved with immediate effect the payment of all the hospital bills, including her plastic surgery. In a statement disclosed by his campaign media officer Paul Ibe. Atiku gave the directive through his Cares Foundation (ACF) after the plight of the young girl was acknowledged by the former Vice President. 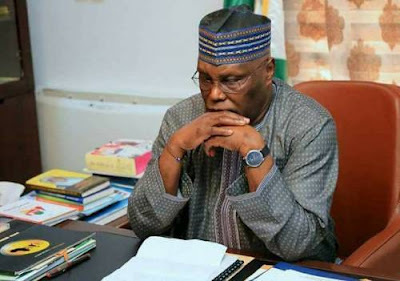 Atiku Abubakar, who is also the Grand Patron of Atiku Cares Foundation (ACF) and presidential candidate of the Peoples Democratic Party, approved the immediate payment of all the hospital bills, including plastic reconstructive surgery for Miss Aisha Haruna. The ACF got to know of the news of this life threatening situation of Aisha via Facebook. The victim, an orphan had been poorly taken care of at home because of lack of funds to facilitate her treatment.